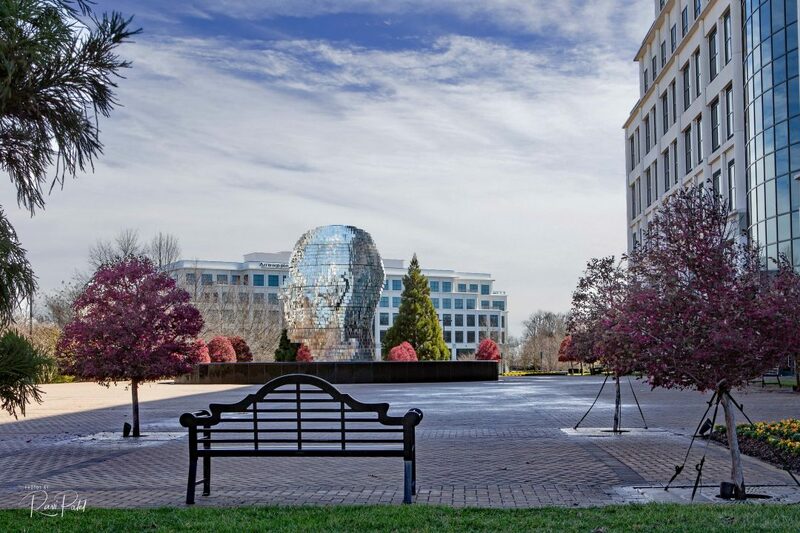 A bench view of Metamorphosis – a modern piece by artist David Cerny featuring a huge head in the center of a circular fountain in Charlotte, North Carolina. This entry was posted in North Carolina, Photography, Unusual Perspectives and tagged bench, Charlotte, Metamorphosis, North Carolina, view. Bookmark the permalink.